Nothing is more motivating than stocking up on new workout clothes. With so many activewear brands out there, it’s not hard to find something cute, yet functional that will make you excited about getting to the gym. With January coming to an end, it’s easy to experience those “January blues” when it comes to your fitness resolutions. We get it. It’s dark out, super cold and gyms are slowly starting to empty out. But remember the goals you set out to accomplish! To all the incredible women whose resolutions included living a healthier lifestyle, look no further than these workout must-haves to keep you motivated on your journey to a better you. Not only will you kill it in the gym, and look amazing doing so, but you can also incorporate a few of these pieces into your daily wardrobe for a casual, cool vibe. Nothing’s worse than sweating through your favorite leggings after an intense boxing class. Not only do these Outdoor Voices leggings keep you cool while you sweat, but their enhanced high-rise waistband also keeps you from having to spend class time adjusting and pulling up your leggings every time you drop down for burpees. The color blocking on these leggings is also so chic and will help jazz up a plain workout top. This versatile everyday duffel is exactly what you need to take you from office-to-gym. There’s plenty of room to store a complete gym look, (shoes included) and even has a special pocket for your protein shake or water bottle. The bag that keeps giving, this duffel also features a key leash, interior pockets to store your headphones and a secret exterior pocket to ensure your phone is always out of site but within reach on those packed train rides. The bag also comes in a variety of chic colors and patterns that are sure to fit your particular style. On days where an outdoor run is on the agenda, it’s important to stock up on gear that will protect you against the elements. That’s where Nike comes in with its Nike Shield running jacket. 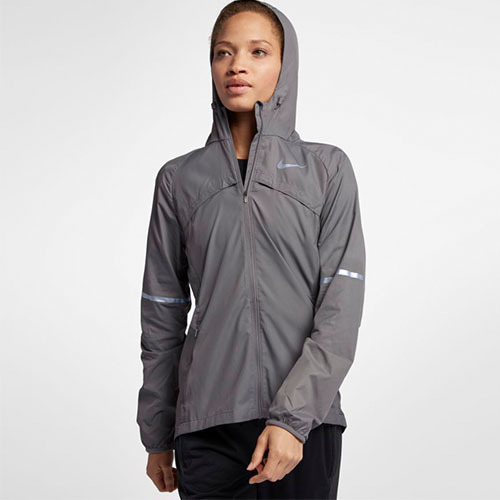 Made of rain- and wind-resistant fabric, this jacket also offers “ventilation zones,” vents in the chest and upper back area that let air flown in and body heat escape to prevent you from overheating. Different fitness activities require different shoes. It’s super important to know what your workout will consist of to ensure you have the proper footwear and will help you avoid an injury. Nothing is worse than losing your footing and falling in the middle of a HIIT workout. 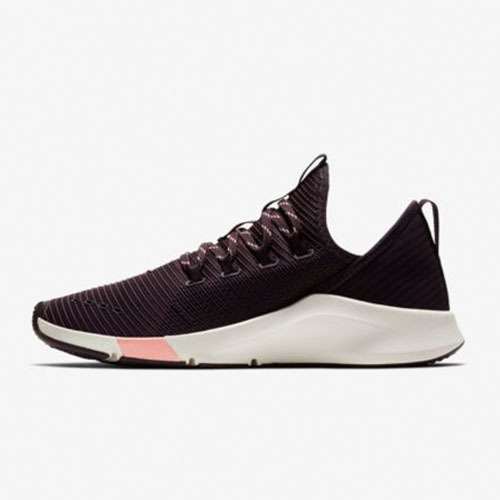 These Nike Air Zoom shoes are perfect for the gym thanks to its lightweight design, durable rubber thread for all the traction you need at the gym and extra cushioning for comfort. This is an updated version of sports bras we’ve known and loved. This chic cropped sports bra is one that you can absolutely wear outside of the gym.Not only does it get the job done during yoga with its breathable fabric, it can also be paired with a cute jacket for the perfect weekend look. Who said active wear had to be boring?